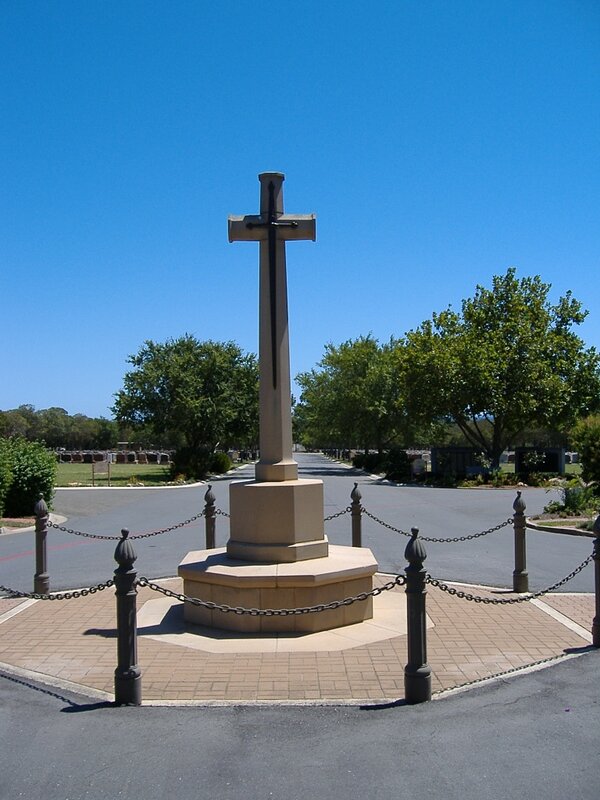 Adelaide, a university city and the capital of South Australia, is on the river Torrens, which flows into the Gulf of St. Vincent. Centennial Park Cemetery is about 7 kilometres south of Adelaide General Post Office. 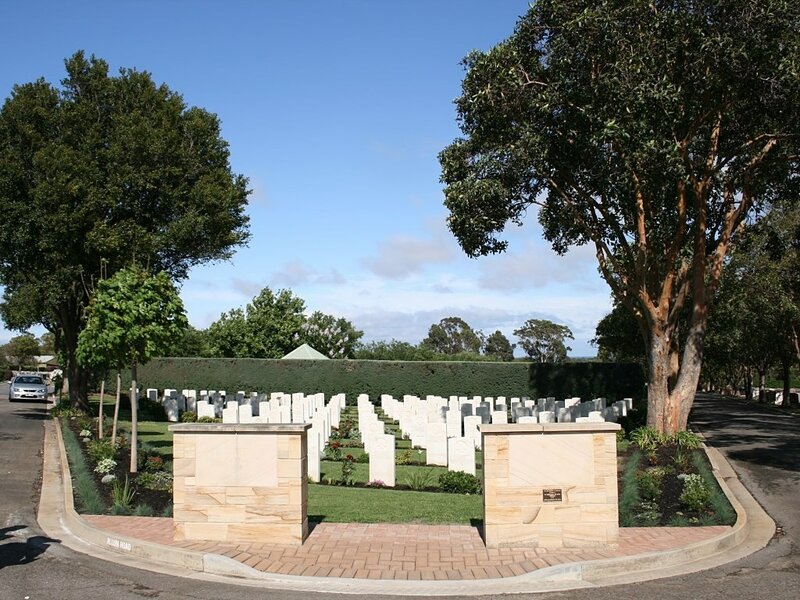 Most of the war graves in this civil cemetery are in special plots which lie on each side of the central path from the entrance in Goodwood Road. 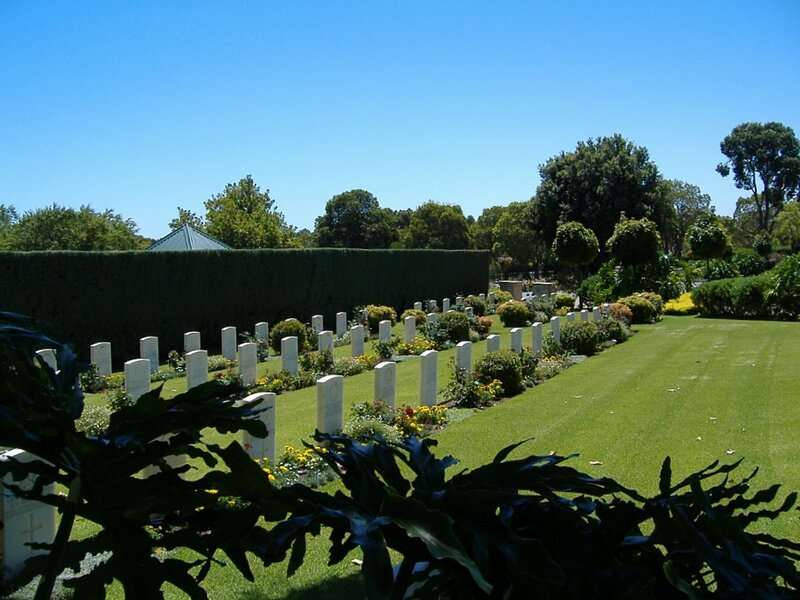 They are known locally as Adelaide War Cemetery, and were established by the Army in 1942 for the burial of those who died of wounds in military hospitals after return from operational areas, and those who died, during their war service, of sickness or accident. In 1946, these war graves plots were taken over by the Commission, and a Cross of Sacrifice, the first of its kind in the Southern Hemisphere, was erected in the centre of the groups of graves. 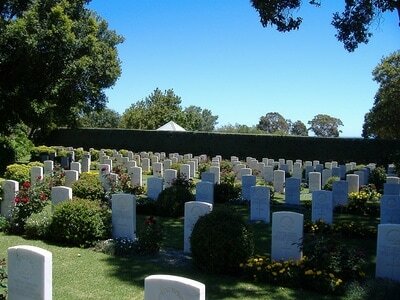 ADELAIDE (CENTENNIAL PARK) CEMETERY contains 215 Commonwealth burials of the Second World War. 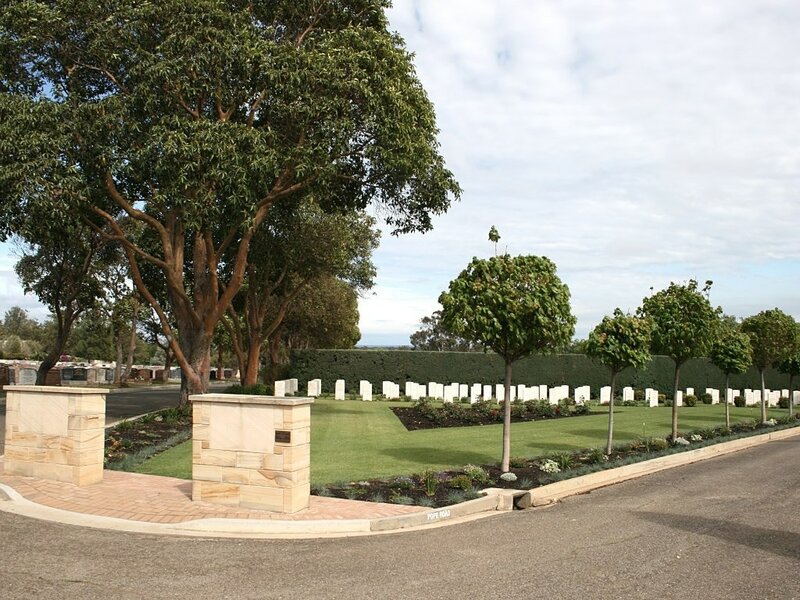 Near the Cross of Sacrifice within the war graves plot is erected the SOUTH AUSTRALIAN CREMATION MEMORIAL to nine members of the Australian Forces who were cremated in the State of South Australia during the Second World War.